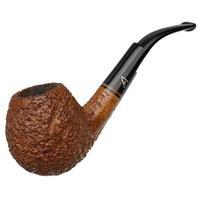 Comfortable in hand, deep of chamber, and unmistakable of profile, it's little wonder this Calabash is one of Brebbia's most popular designs. 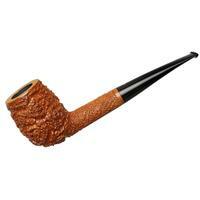 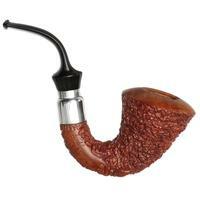 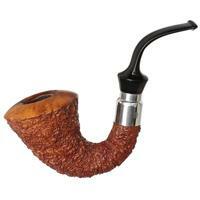 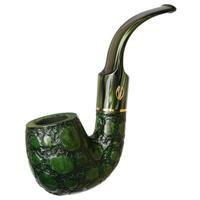 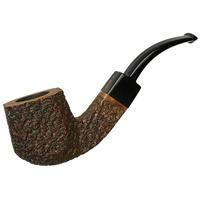 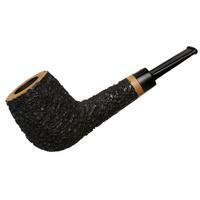 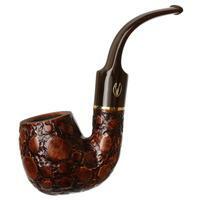 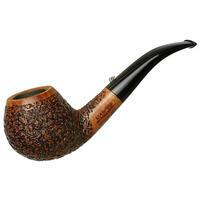 It's presented here in a stimulating tan-colored rustication, topped with a broad sterling silver mount. 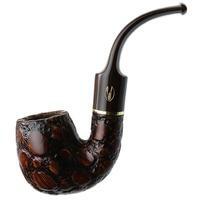 It's quite the curvaceous design, made possible by the Italian marque's curved drilling technique.